The Maximum Profit System (MPS) gives the same results as farming more land without the extra investment. MPS is based on what we believe to be the most achievable goal in agriculture…300 Bushels of Corn and 150 Bushels of Soybeans per acre. Sound far-fetched? Remember that every bag of seed corn planted has the potential to produce 600 bushels or more of grain. There is no reason that with today’s advancement in technology, information and production practices today’s growers cannot at least reach half of that potential. Belief and mindset is the very first place we begin with the Maximum Profit System. You must believe that you can achieve higher yields before you will ever see them. It’s time to stop believing that profitability is totally dependent on both input costs and market prices. Too many farmers believe the cheaper they can buy their inputs and the higher the price they can get for their crops is the only way to prosperity. Unfortunately that belief is dependent on two variables that farmers have very little control over. Farmers must focus what is in their control and that is maximum yields. Higher yields are the only solution to rising input costs and volatile markets year in and year out. Once a farmer believes that 300 bushel corn/ 150 bushel soybeans in achievable through the Maximum Profit System it is easy to change their thinking on whether yield is actually in their control. In the 21st century too many farmers still believe that it’s not. If that was true, virtually every farmer would have the same APH in a given area. However, that is not the case because every farmer does things very differently. Some do the things others are unwilling to do. The Maximum Profit System (MPS) is most important increment of farm profitability. When growers produce maximum yields they have more bushels to protect, more bushels to market and more bushels that to add profit to their bottom line. That’s how important top yields are. 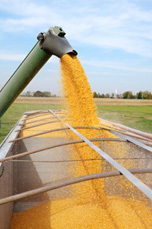 Maximum yield is the quickest way to lower cost per bushel and increase profitability. Today the number of acres a grower farms is no longer the most important measure of success. Instead, true success in farming is measured by the rate at which yields can be increased year in and year out on the current acres being farmed. MPS can grow your business internally rather than externally. Realize how vital a comprehensive cropping plan is and why they must have it completed 9-12 months before planting season. Understand that technology is a way to help them produce more yield. It’s not just a method to make farming easier. Understand when technology needs to be used and when it doesn’t. Understand the Top Five Factors To A Top Crop and why they should never be violated.